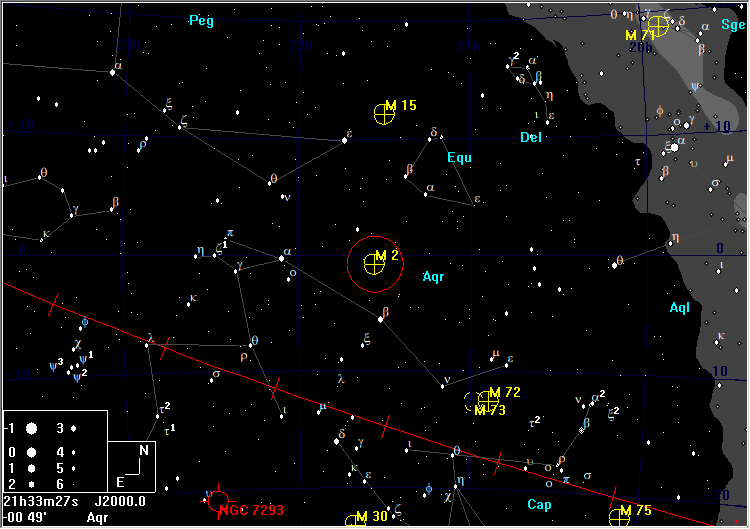 M2 is about 5° N of the 3rd magnitude β Aquarii (Sadalsuud). 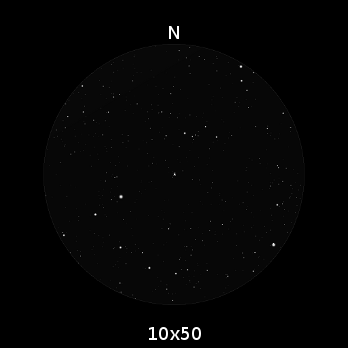 M2 is small and bright, having the appearance of a fuzzy star in 10×50 binoculars, but is visible in less than ideal sky conditions. 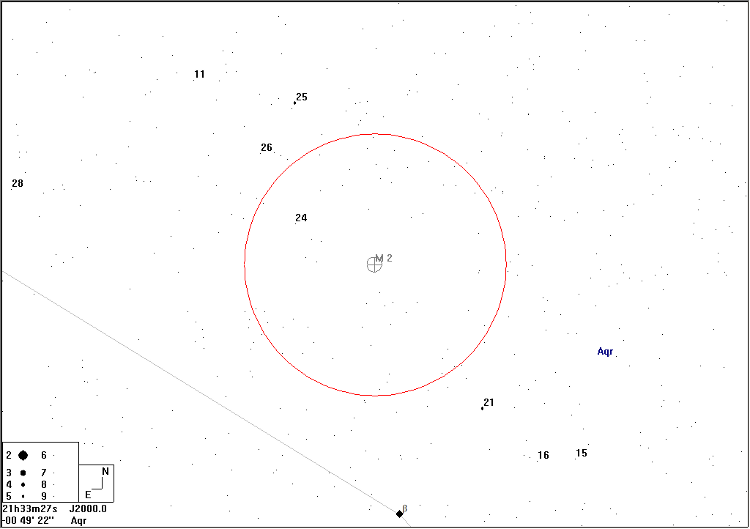 At 50,000 light years, it is at a greater distance from us than either M13 or M5, and has a diameter of about 150 ly.